More Roller Derby in YA Lit, Please! 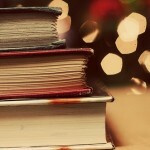 Here at the Hub, we often blog about trends in YA that we notice whether we are happy to see them or not. Today, I want to write about something that I hope becomes a trend in YA literature: roller derby. 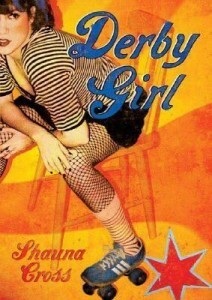 After Shauna Cross’s 2007 novel Derby Girl (2008 Best Book for Young Adults, 2008 Quick Pick for Reluctant Young Adult Readers) was turned into a film starring Ellen Page and Drew Barrymore, I hoped this sport would begin to make regular appearances in YA literature. Unfortunately, the years passed and few titles were released featuring it. This year, though, roller derby is being given another chance through the Roller Girl series by Megan Sparks. The first four books have already been released in the UK and the first two books, Falling Hard and Hell’s Belles, will both be available in the States on October 13. With four books in this series being published within a year, roller derby may have a chance to finally become a YA trend. In Falling Hard, high school student Annie leaves England to move to the States with her father after her parents divorce. She grew up as a gymnast, but after growing to a height of five foot eleven-and-a-half she had to give it up, leaving her at a loss of how to spend her free time, especially in a new country without her best friends. Her attempts at finding a new activity lead her to both cheerleading and roller derby. When she is forced to make a choice, she weighs the pros and cons of each to decide where she ultimately belongs. Why do I want to see this trend? 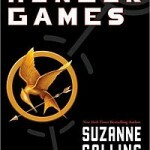 Because I love stories that portray female characters in situations where they are allowed to be strong, unique, and have great relationships. Sports-centered stories can provide a great setting for these characters to live. As Amanda Margis points out in her post Throw Like a Girl, there are many YA titles with characters fueled by their roles as athletes. Books like Catching Jordan (Miranda Kinneally) and Cinderella in Cleats (Carly Syms) have gone even further by placing female protagonists in the male-dominated sport of American football. In my experience, roller derby is particularly unique in the area of sports fiction because it is a sport that is almost exclusively for female players. Roller derby is also noteworthy in its diversity. Derby girls can be anyone – any height, weight, race, sexual orientation, hair color, and hobby outside derby. It is a sport that teaches them to have self-confidence, and to be proud of their bodies and what they can do. The sport also allows girls to engage in physical activity that is competitive, whiling building relationships. In Falling Hard, Annie notes her surprise that girls from competing teams train together and appear to all be quite friendly. These are all factors that Annie uses to make her decision, and they are in line with what I have seen and read about the sport in the past. I was not too excited that that Falling Hard relied on negative stereotypes of cheerleaders to create a contrast, though. The nature of roller derby also simply makes for fun reading. Authors have the opportunity to describe wild fashion and fast-paced action, and, most of all, they get to come up with the girls’ derby names. Reading about characters such as ElizaDEATH, Holly Terror, and Polly Socket is just plain great (and allows you to dream up what YOUR derby name would be!). I don’t know how many derby-themed YA titles I have to look forward to, but I’ll be here with my fingers crossed. One you can add to your list for next March: Demon Derby by Carrie Harris. Thanks! I’ll keep my eye for that in new year! One of the names of the Durango (Colorado) Roller Girls is Jesstroyer. Do you like? Yes, that’s great! It’s so difficult to come up with anything original, there are so many good ones out there. And, yes, I have given this a great deal of thought for never actually playing the sport. I love this! I’ve been playing roller derby on and off since 2006 – I skate for the Rocky Mountain Rollergirls under the name Anne Shank (or Shank for short) and I am a librarian. I actually help train our junior league, the Rocky Mountain Rollerpunks, and they are AMAZING! Working with them actually inspired me to want to work with teens as a librarian. I would love to see more YA lit with roller derby, but sometimes I feel like those stories can be a bit on the cheesy side. There is a ton of potential for a great book there, however – roller derby is not just a predominantly female sport, but the skaters usually own and operate their league. I started skating when I turned 21 and I’ve learned so much – event planning, how to wrangle sponsors, even the inner workings of becoming a nonprofit. Not to mention meeting and working with tons of women from all different walks of life. 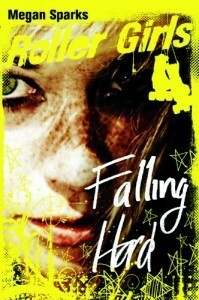 I will definitely have to check out Falling Hard in the near future!